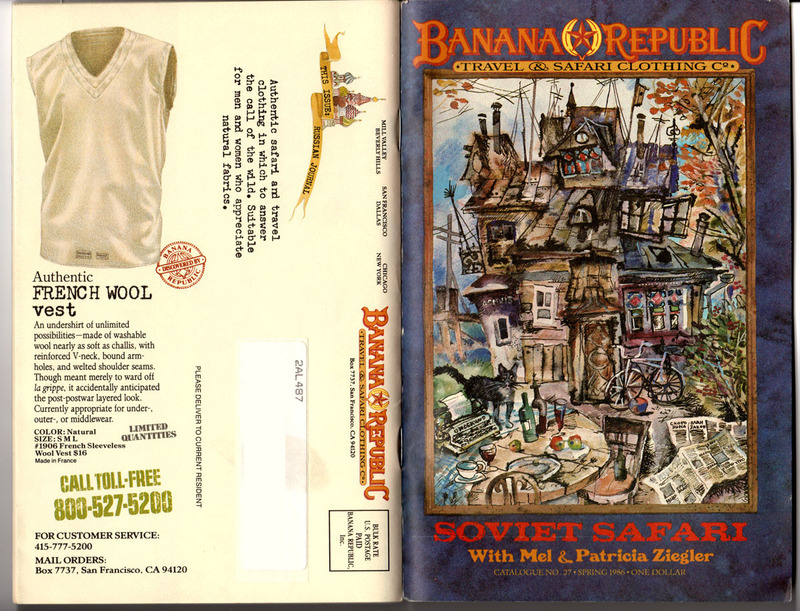 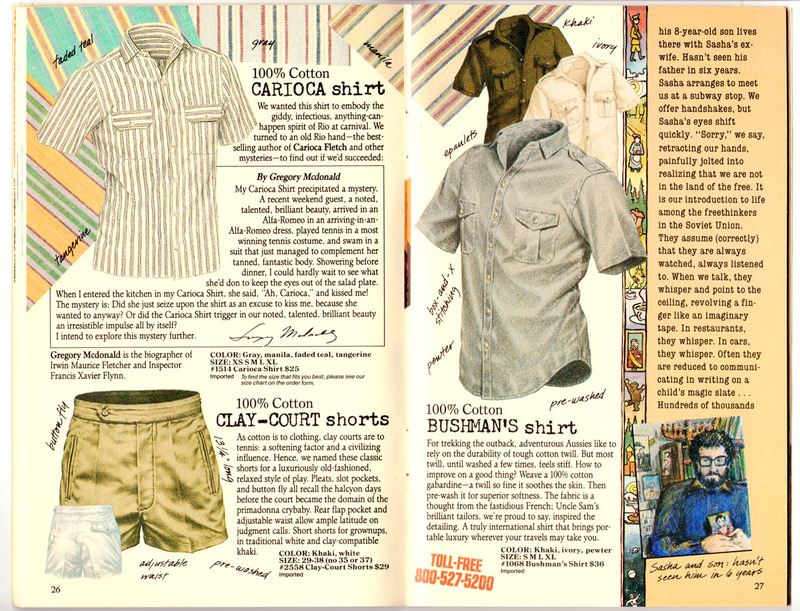 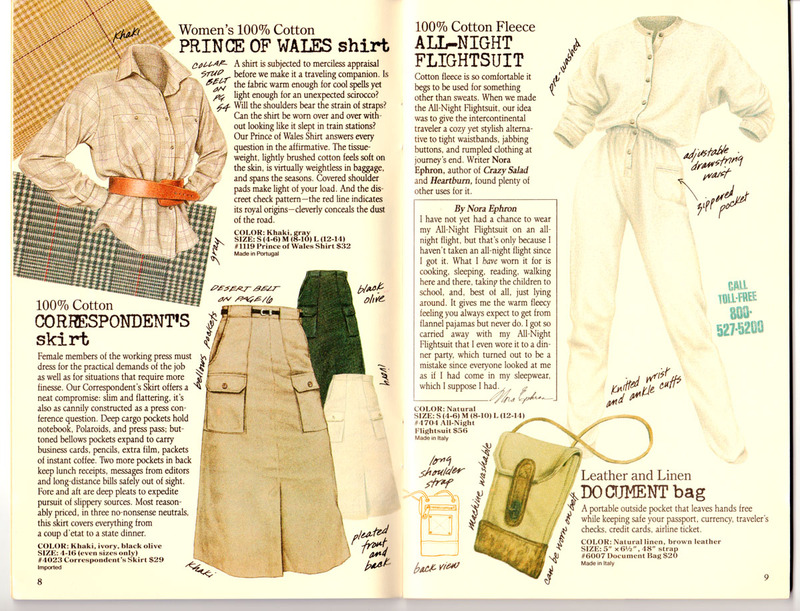 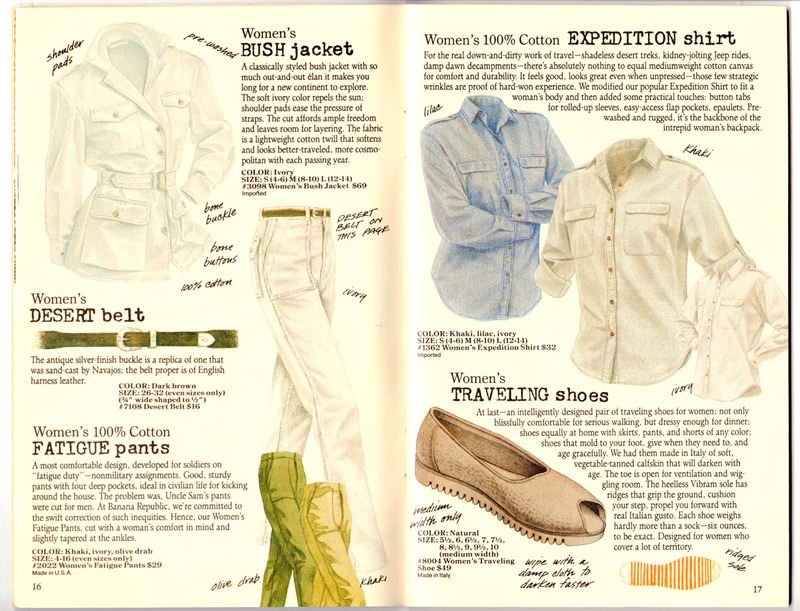 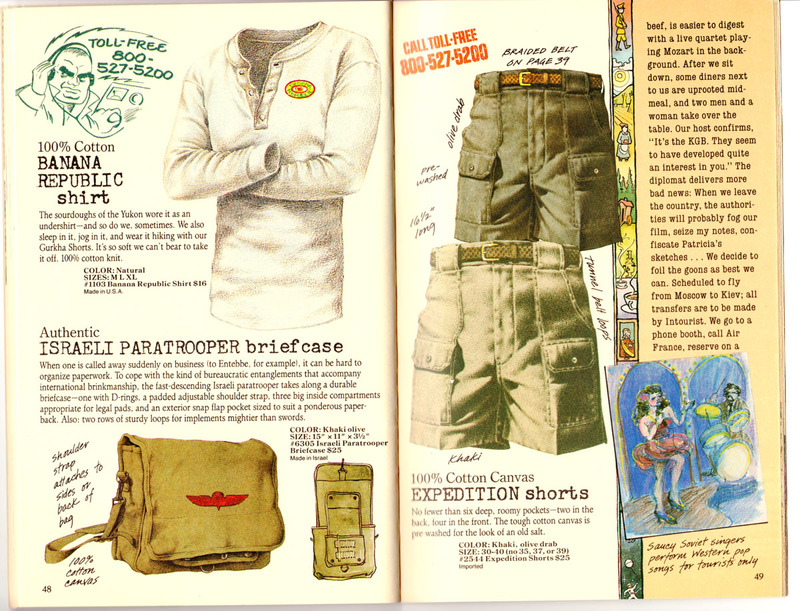 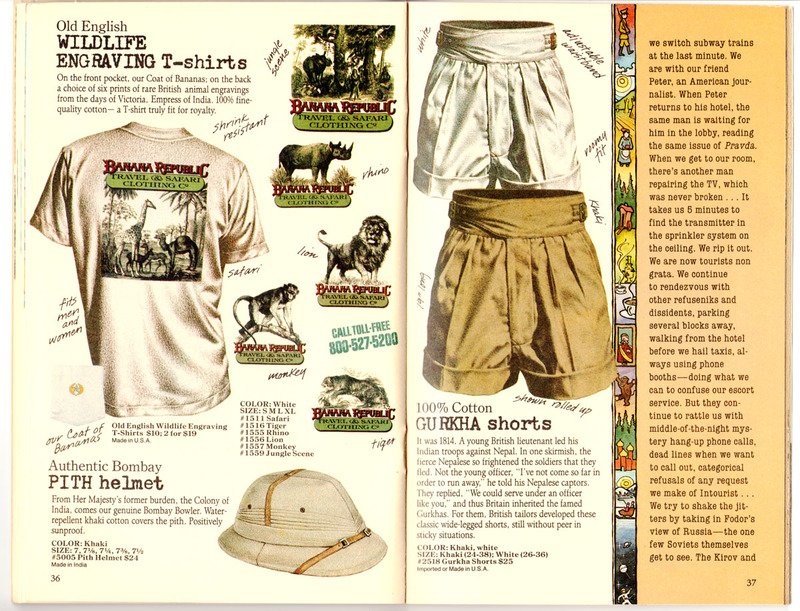 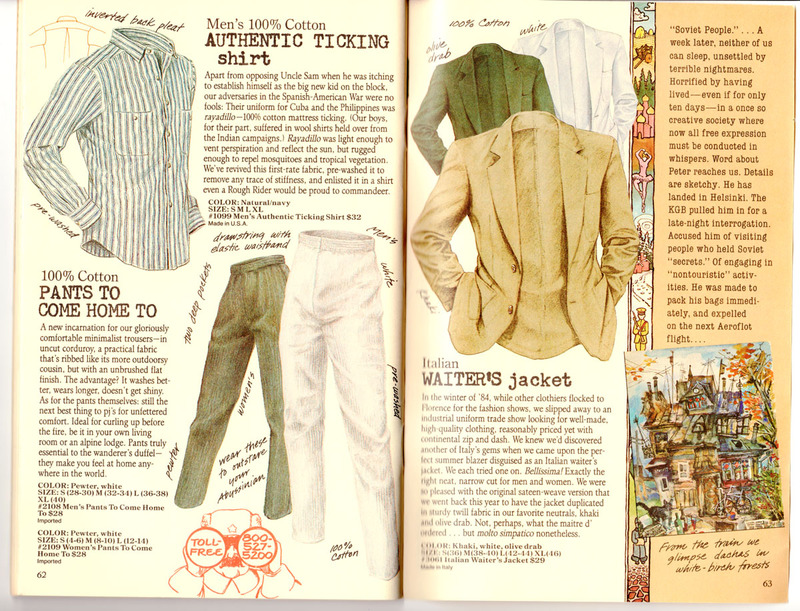 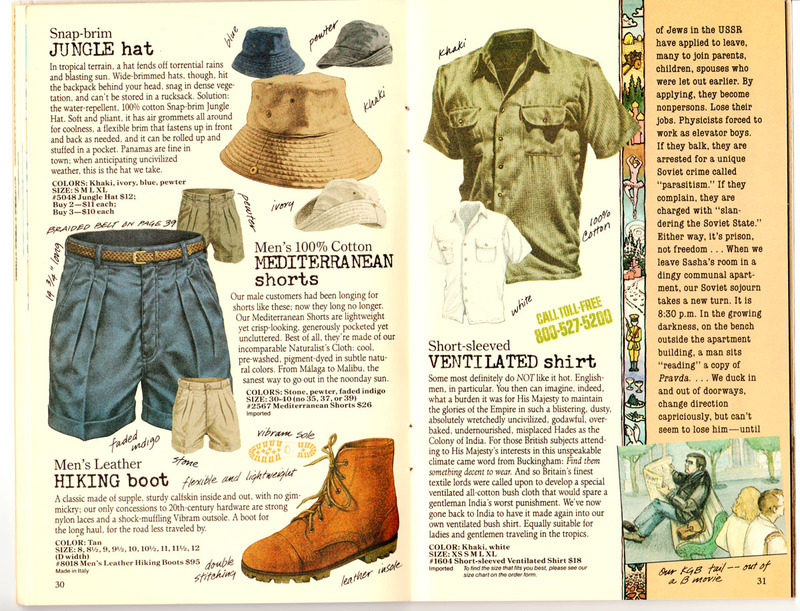 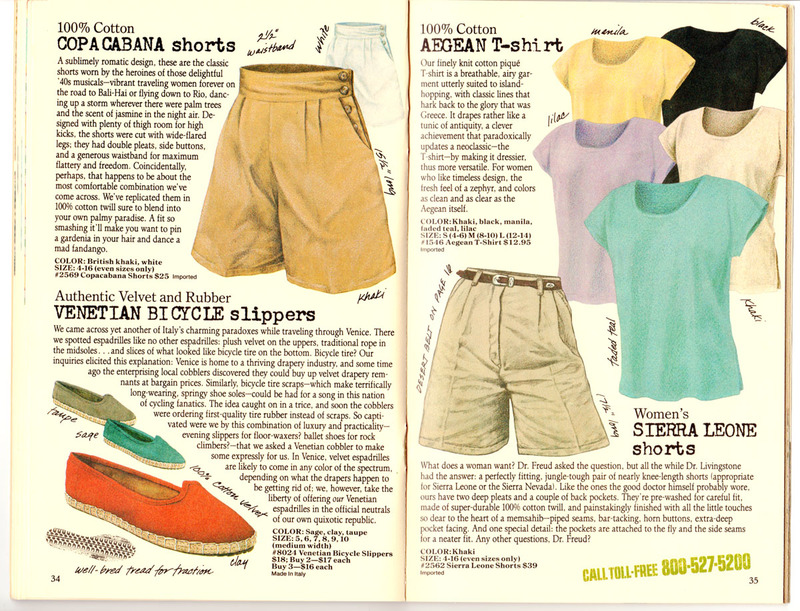 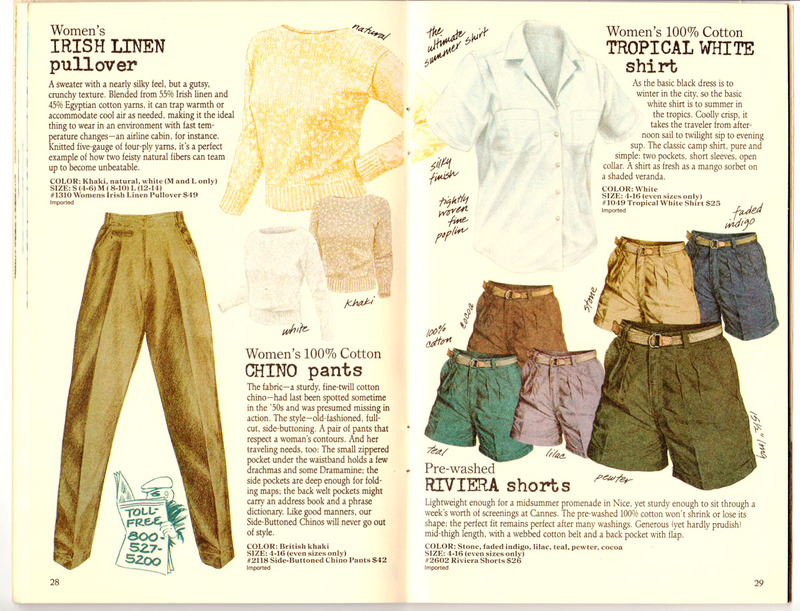 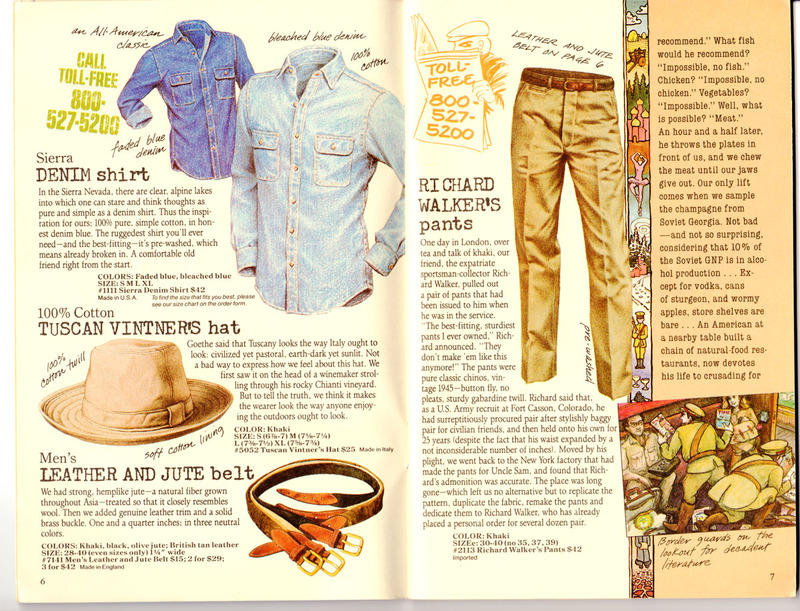 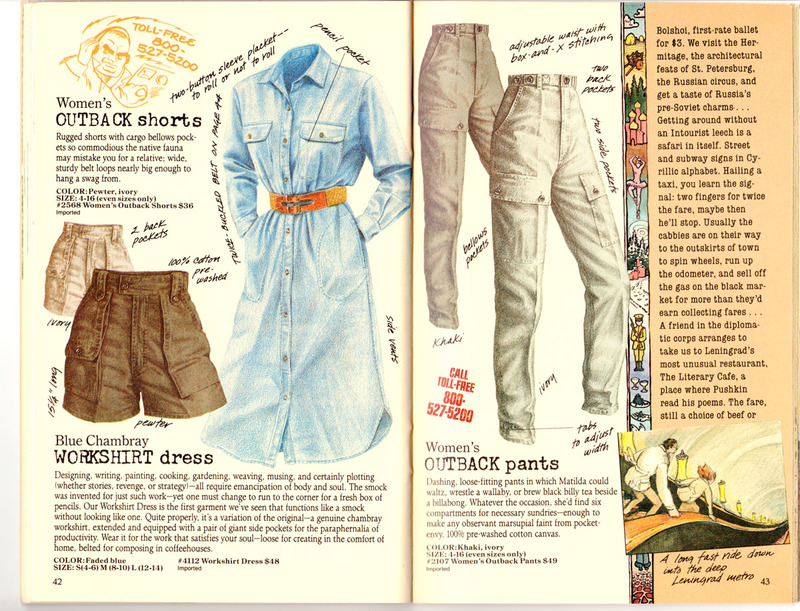 The Spring 1986 Catalog #27 brings us another travel journal from Banana Republic founders Mel and Patricia Ziegler, but instead of a journey to the deepest, darkest jungle or some sun-baked savannah they take us to the heart of pre-Glasnost Russia. 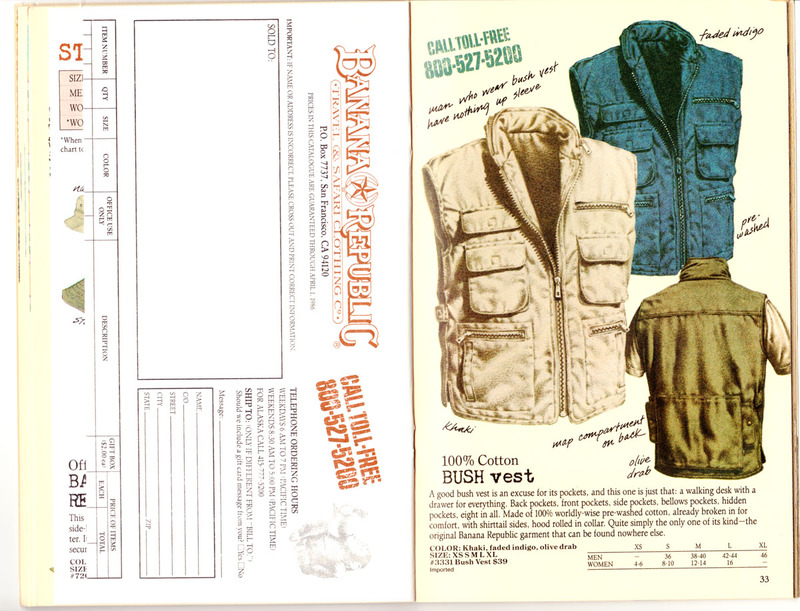 What a surprise this must have been to find in your mailbox. 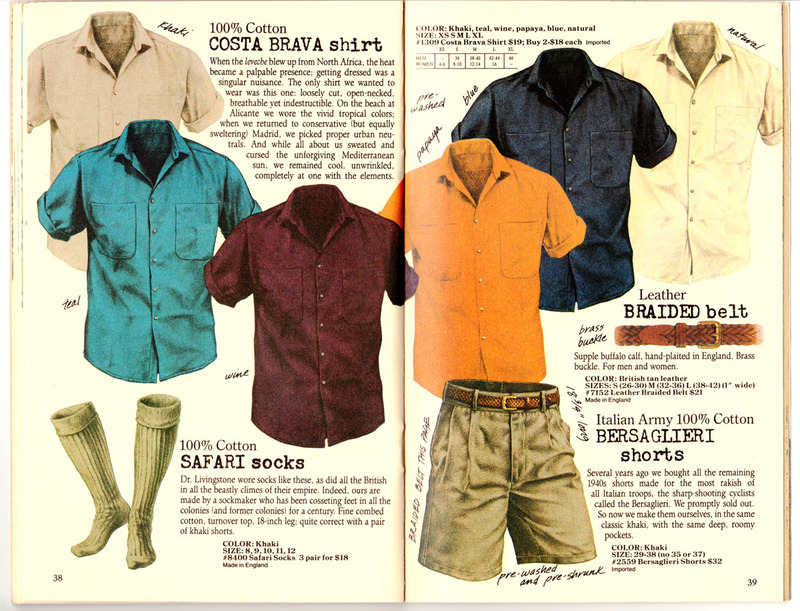 The cover is such a far cry from the classic BR look: There are no zebras or jeeps or adventurous locales., though it does recall past catalogs with the iconic typewriter, the remnants of breakfast, discarded newspapers, and a cat. 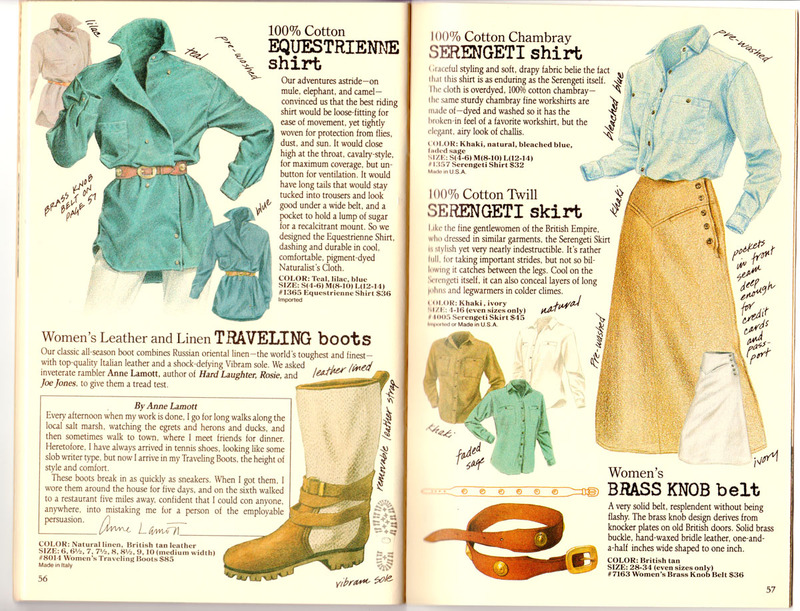 All good signs that the Zieglers were here. 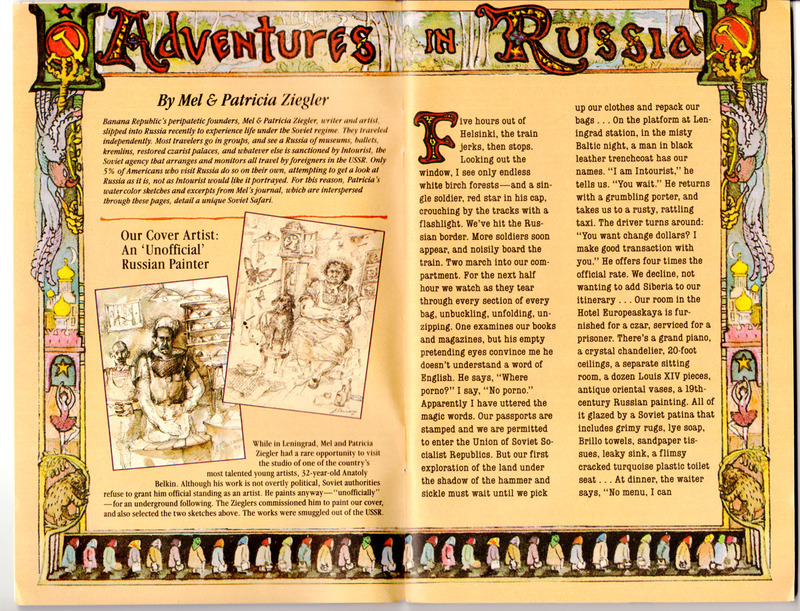 The cover was a commissioned piece by Russian artist Anatoly Belkin, whom they met on their trip and whose work they had to smuggle out of the country. 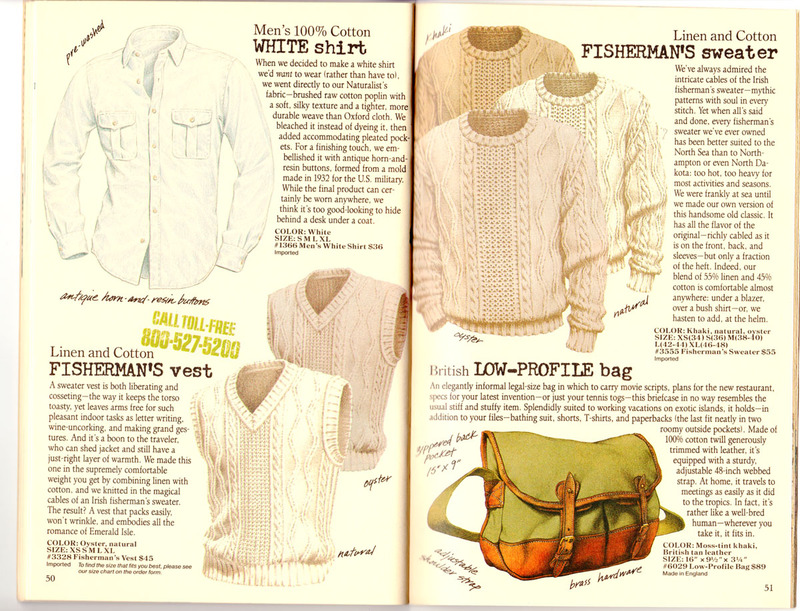 It has a folksy, very Russian vibe to it, and I think the whole piece has a lot of heart. 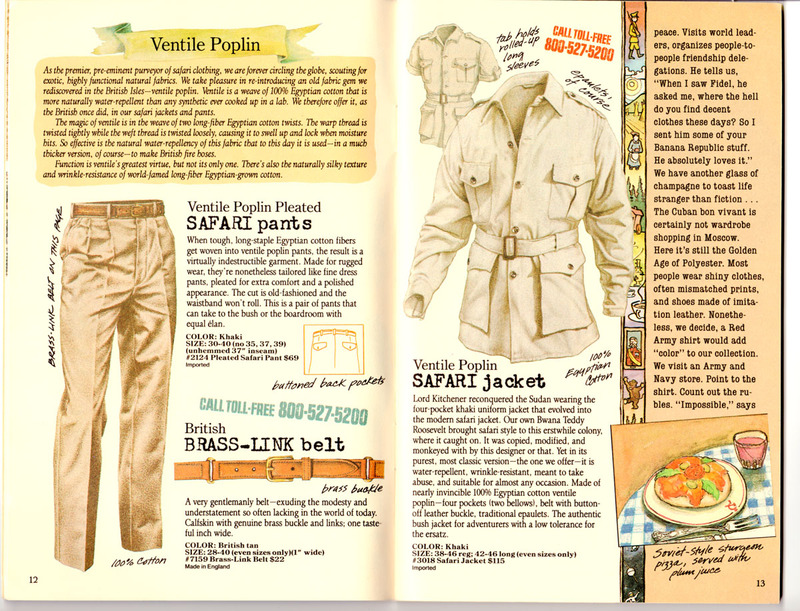 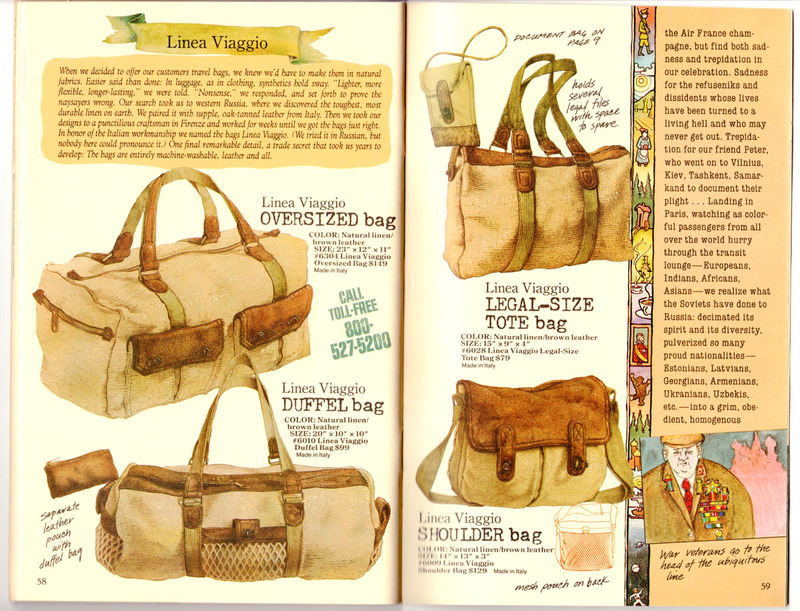 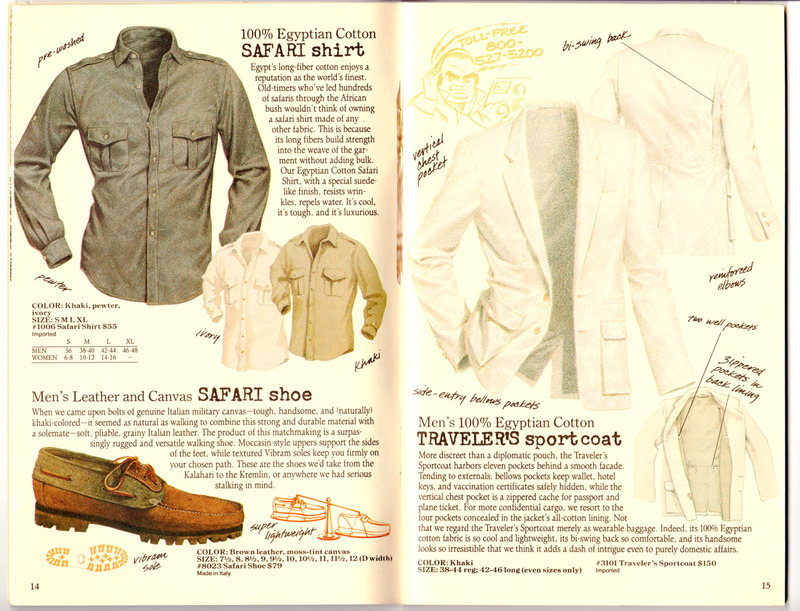 The journal inside is pretty remarkable, and perhaps more than other journals it reminds you that the Zieglers were journalists before they became safari entreprenuers. 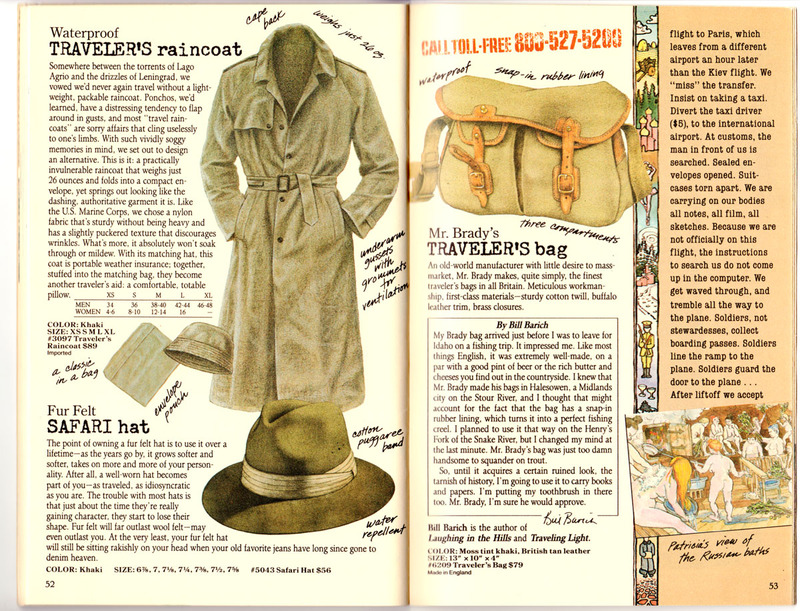 Mel was a writer and Patricia an illustrator for the San Francisco Chronicle in the 1970s. 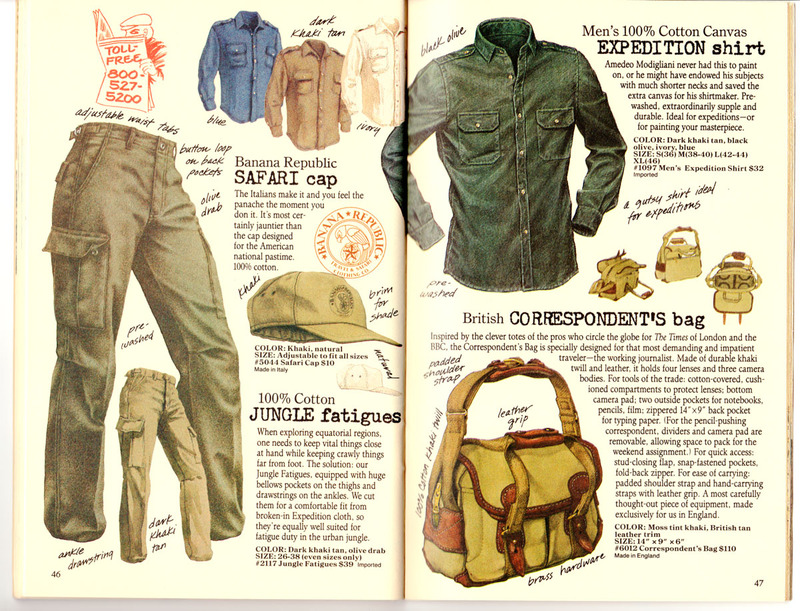 Their account of their travels through Soviet Russia are filled with ominous KGB agents and Soviet minders dogging their every step despite their B-Movie escapes by switching trains at the last minute. 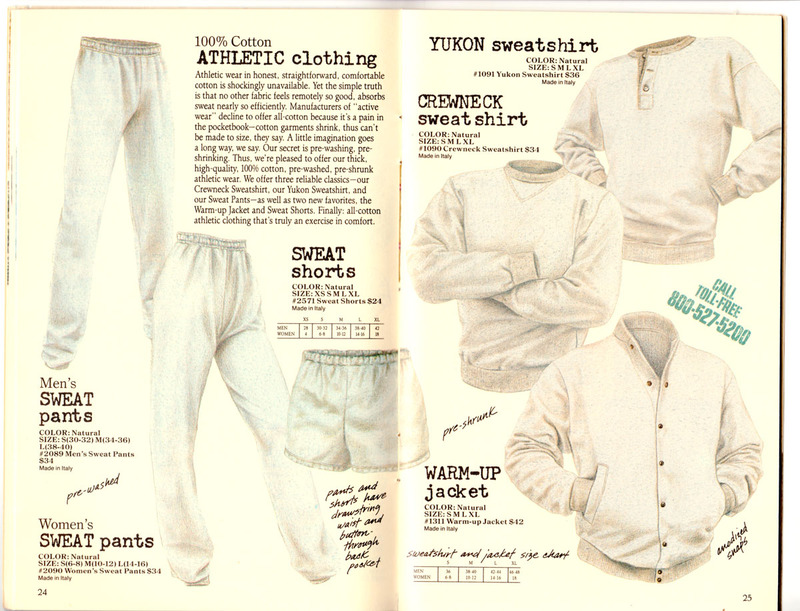 They express their outrage at the treatment of Soviet Jews, artists and dissidents who they meet and speak with in careful whispers. 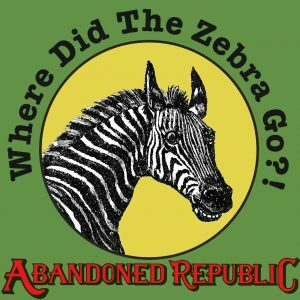 Finally, they mount an elaborate ruse to get out of the country without the authorities destroying their film, sketches and notes at the airport. 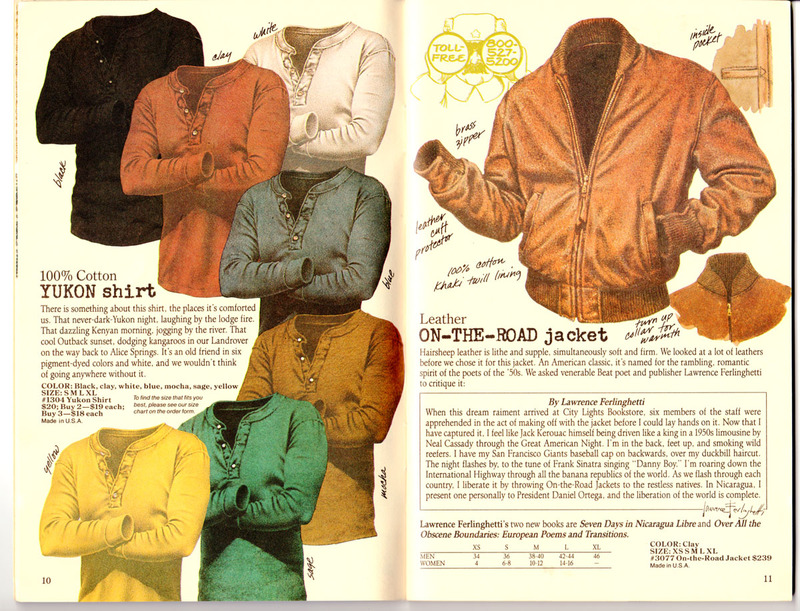 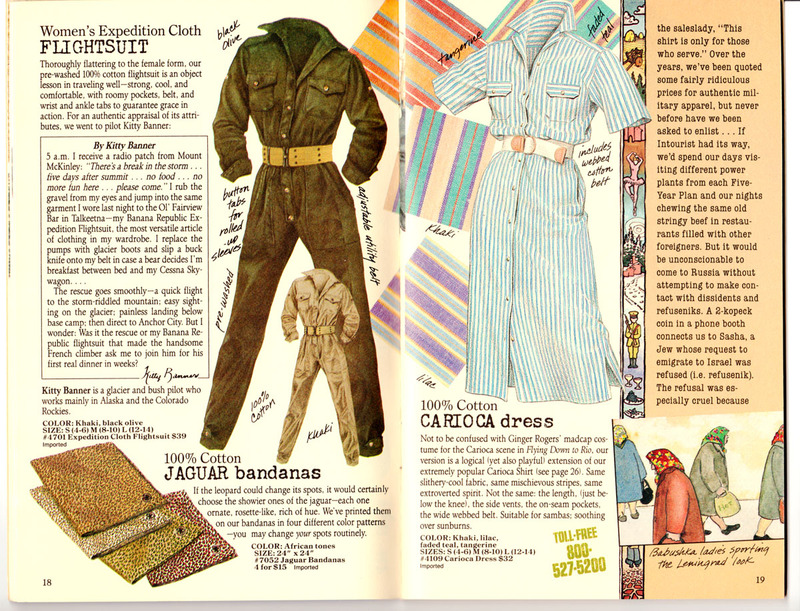 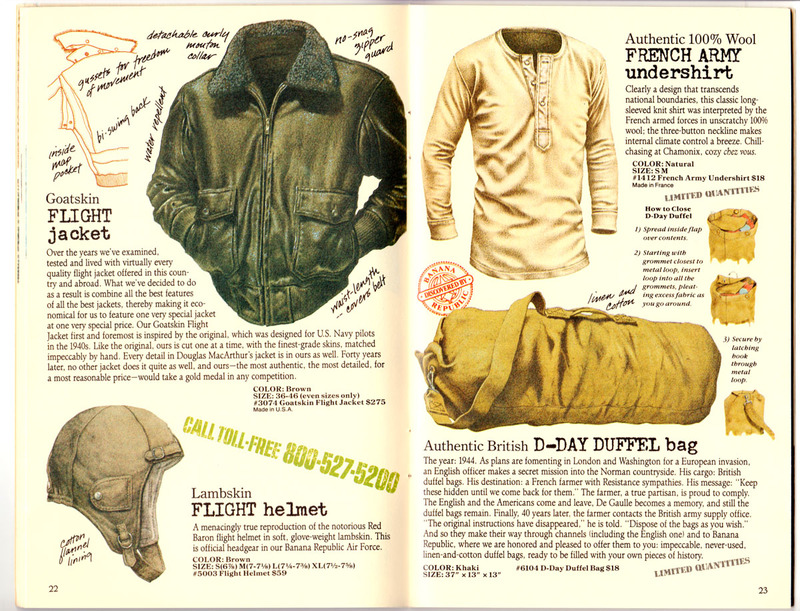 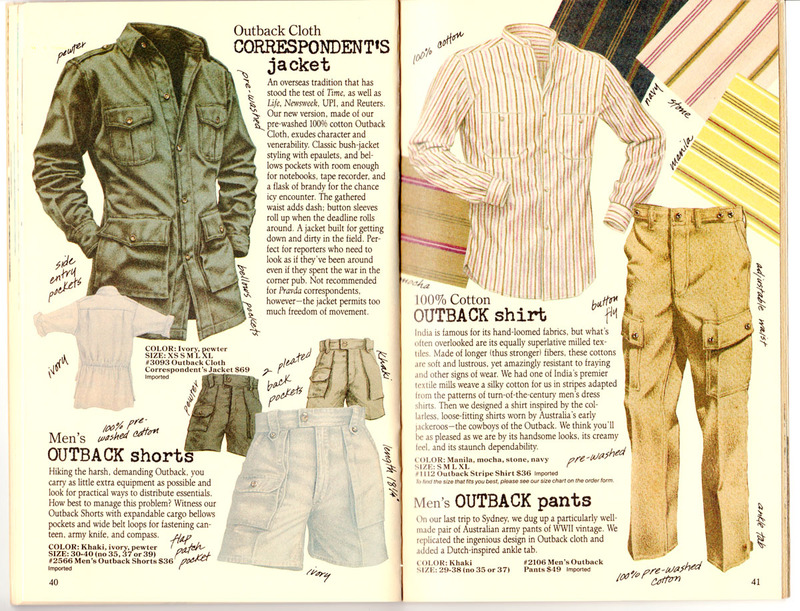 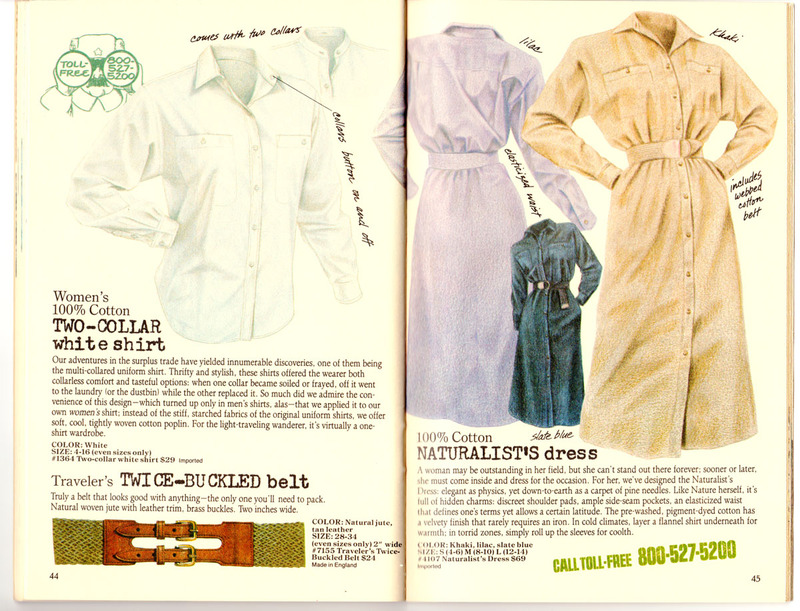 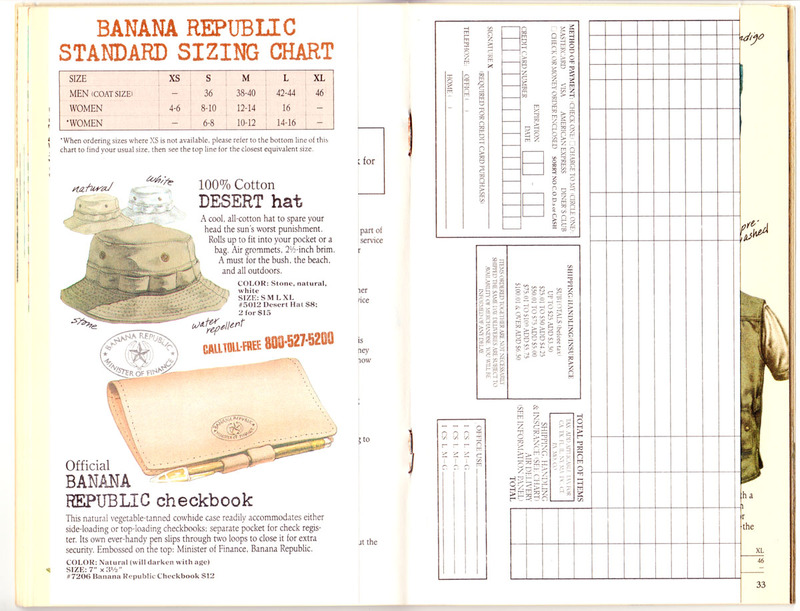 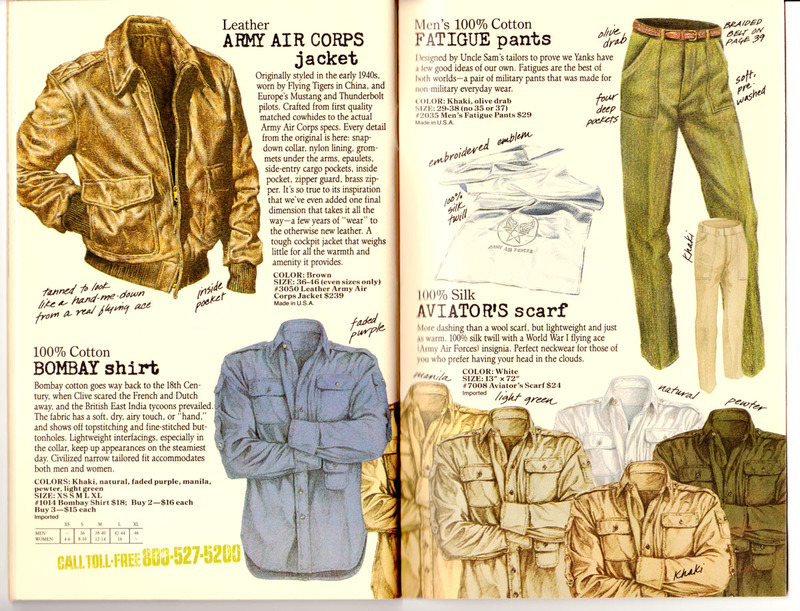 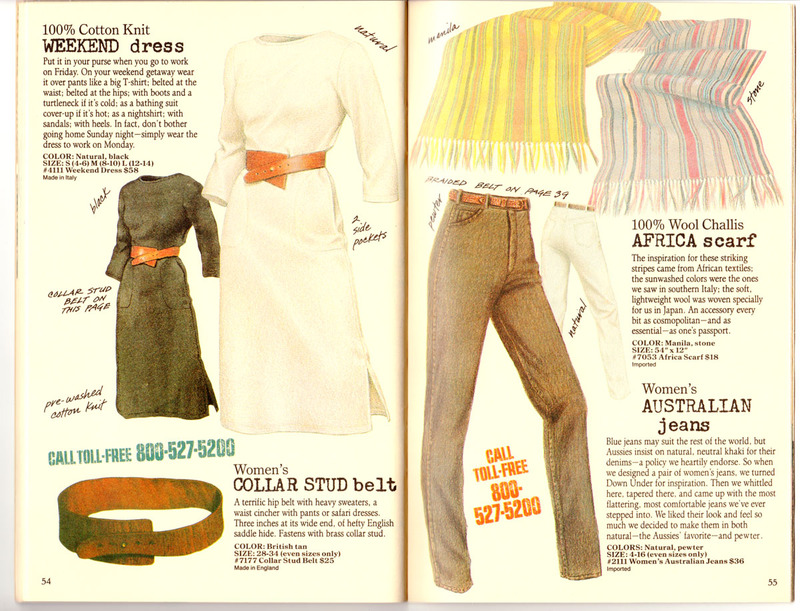 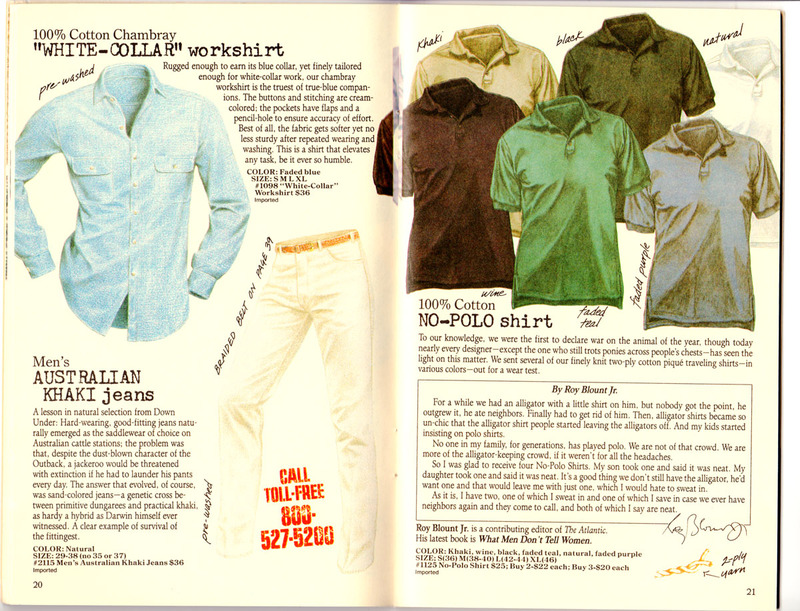 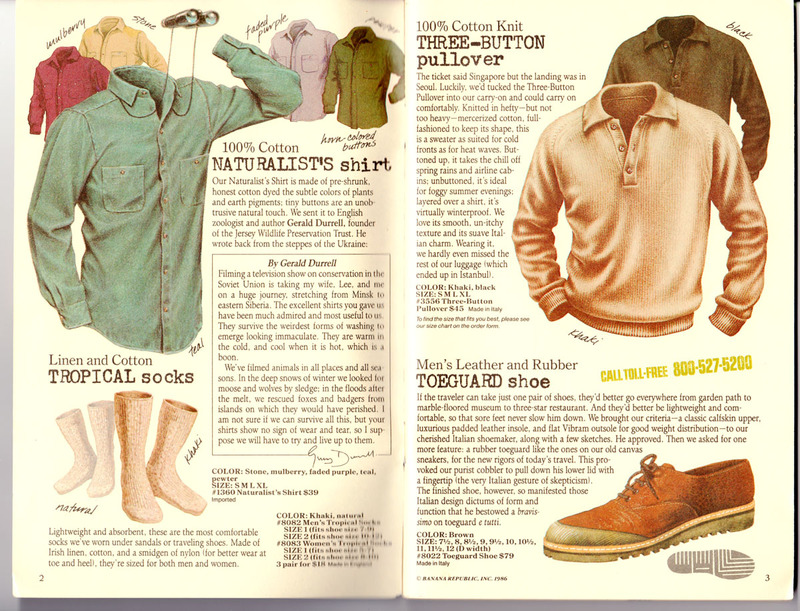 It’s a very unusual thing to encounter in a mass market clothing catalog, even for Banana Republic, and it’s undoubtedly a big part of why we loved BR and it’s catalogs.